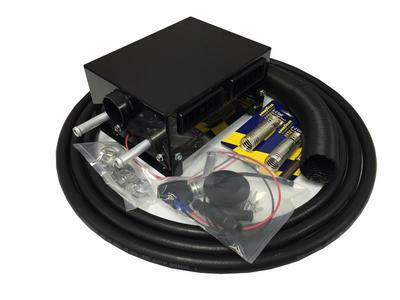 Cab heater kit for the 2016-2017 Can-Am Defender 1000 HD10 with defrost. This unit comes with EVERYTHING you need to install into your Defender. Includes: Heater hose, hose splicers, hose clamps, mounting bolts, defrost louvers, ductwork and wiring. Ours comes with the 1" to 5/8" hose Y fittings, other companies do not include these and they are very hard to find. This is the nicest, heavy duty heater kit on the market for the Defender.